Although the Arabica variety of coffee may be preferred by many coffee lovers for its soft and sweet taste, it seems that the birds love and prefer the taste of the bold and beautiful Robusta variety. 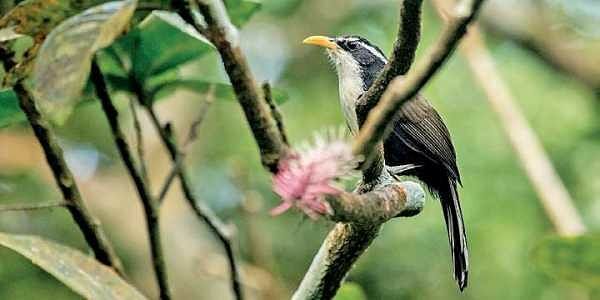 BENGALURU: Although the Arabica variety of coffee may be preferred by many coffee lovers for its soft and sweet taste, it seems that the birds love and prefer the taste of the bold and beautiful Robusta variety more.A new research study in the Western Ghats highlights the importance of coffee plantations as a supplementary habitat in regions with small protected areas. What a group of researchers found was completely amazing compared to previous studies: although Arabica attracted more bird species, Robusta offered substantial biodiversity benefits and supported higher densities of several sensitive avian population like frugivores.Further, farmers use less pesticides in the more disease-resistant Robusta farmlands. They surveyed the bird diversity in a landscape which frequently witnesses farmers shifting between different coffee species. As many as 344 coffee farmers across the three highest growing districts of Chikkamagaluru, Hassan and Kodagu with more than 75 per cent of farms being less than 10 hectares were surveyed for its avian diversity. The surveyed species included — forest dependent, IUCN red-listed, endemic species, etc. The research paper was titled ‘Birds and beans: comparing avian richness and endemism in Arabica and Robusta agro forests’. The lead author of the paper was Dr Charlotte Chang who analysed the data as a graduate student at Princeton University and led by Wildlife Conservation Society associate conservation scientist Dr Krithi Karanth and Dr Paul Robbins, director at the Nelson Institute. Across the sampled agroforests, a total of 79 forest-dependent species were recorded, while 14 endemic species too were observed. Three IUCN Red-Listed species — Alexandrine Parakeet, Grey-headed Bulbul and Nilgiri Wood-pigeon — were recorded. Twenty-six frugivorous, 54 insectivorous and 26 omnivorous species were recorded. However, forest-dependent Malabar Gray Hornbill, frugivorous Plum-headed Parakeet, and insectivorous Oriental Magpie-robin were found across the two coffee species. Krithi Karanth and others noted that both species of coffee supported higher overall avian richness, endemic richness and greater densities for the majority of the foraging guilds as well as three of four vertical structure guilds (low canopy, mid-, and high-canopy guilds). Two major species are involved in coffee production : C. arabica (60 per cent global production,) and C. canephora (Robusta) which accounts for the remaining production. Coffee is grown amid shaded and low-intensity farming. They are interspersed with native forests if it is Arabica and grown in high-intensity, full-sun monoculture if its is Robusta.